Sometimes when in the mundane environment of an office your brain freezes up with the plethora of issues that bombard you on a daily basis, that email inbox that pulsates with noise and problems to be solved or the people knocking at your door asking for your input or guidance. Sitting behind a desk and staring at a terminal is probably the worst environment for problem solving, it's called a terminal for a reason, despite all the narratives about clouds and connections. Offices and cubicles box you in and reduce your thought patterns to very set routines, it is the promise of six sigma and lean to define the most optimum route of doing things and repeat with precision. It's something that often happens in schooling with curriculum, training, testing - all optimising us into routine patterns. 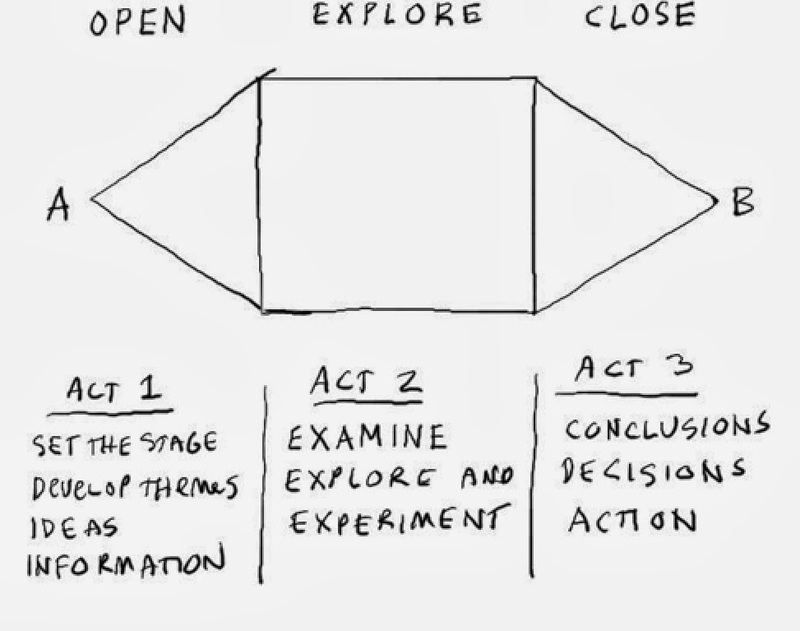 Problem is we live in a world of complexity and sometimes routine-procedure are not good in complexity. I often hear the rhetoric from industries that they need people who can think laterally, handle problems etc and can't find people that can do this, they look to education hoping for the answer but then want to repeat the training/ schooling mantra. It's where I tend to think Illich was onto something with Deschooling Society. An event happened this week that brought into stark relief this issue for me and one that I had ruminated on before when in my square walled office. As I looked around at colleagues, I would often ponder - what would it be like to be trapped on a mountain or an island with these people, how would we survive, who has the mindset that would be appropriate, how do you lead or manage in that environment? We so often recruit people based on perceived IQ or qualification and prior experience, but we seldom look at an important facet - AQ or Adversity Quotient. This was something I had looked at with a company called Peak Learning, who had some very good toolsets for surfacing people's AQ. I often found myself recruiting people with a high AQ mindset over skills, working on the principle that skills can be developed if the person had the right mindset. 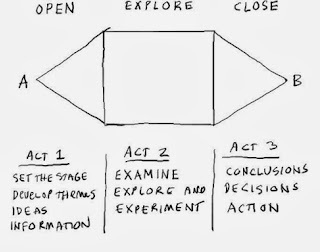 This always held me in good stead with the people I recruited who would constantly amaze me with their abilities to think laterally and deal with situations. I'm reflecting on this because for such a long time I thought this was just the case with everyone, it's how I saw the world, in given situations I could evaluate multiple patterns around me and see a solution. It's difficult to explain how I visualise this, but I can almost physically see multiple patterns of probability in situations. The best way I could explain this was a scene I saw in a Hollywood film where Sherlock Holmes can predict and visualise what is about to happen. I believe the key to all of this is understanding patterns as nicely summarised by Esko Kilpi in Pattern Recognition, quantified self and big data, I believe we will soon have systems and tools to augment our ability to see patterns in life like never before and this could lead to a profound change in our learning abilities and breaking some of our routine perceptions or the limits of our bounded rationality. We will start to see the web of life, the patterns within it and how we are interdependent within this network. Anyway, back to that life event that led to me noodling on this topic. 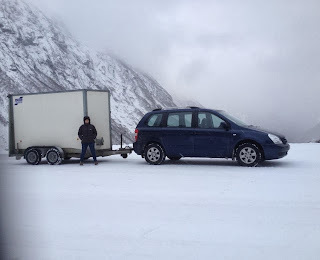 I was driving across the Norwegian Alps this week in the height of winter, towing a heavy trailer. I had snow tyres, but steep gradients, ice and bad luck ended with myself and my mother who was my travel companion being stuck on a steep climb with the vehicle going nowhere. It was desolate, cold and no sign of civilisation for miles. We knew we couldn't push, we knew we needed high revs to pull the trailer and we knew that would just polish the ice and make it worse. My mind initially darted across all the worst scenarios of being stuck up this mountain. My mum interjected with a time worn statement "There are no problems, only solutions", it was a statement I had heard throughout my formative years. In a business setting it sounds like trite business b*llocks spouted by self help gurus, in a real world setting it gives you fortitude and focuses the mind. We instantly started focussing on the problem domain: wheels need traction to move. How do we get traction? We scoured the location for wood or twigs - nada. Stones? Nothing. All we had around us was ice and snow. Look in the car, nothing but a tool to change tyres and some jumpers. Maybe we can score the ice with the wheel brace and create enough traction? More wheel spinning ensued. How about using the jumpers under the wheels? Worked a little, but not enough. How about the foot well rubber mats? The wheels spun them out across the road. 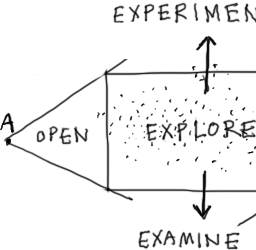 Each experiment tried and failed, each time we re-analysed and tried to improve. Never stopping to fixate on our predicament. How about that tunnel at the crest of the hill? Maybe it has a grit bin? We've seen grit bins in tunnels; okay it's a fair walk so how am I going to get the grit back if it has any? Find a big shopping bag in the car. Off I stomp, looking around as I go - I see a babbling brook of icy cold water, but think - if the tunnel doesn't have any grit, I can come back and scoop gravel out of the brook! (that's a back-up). I get to the tunnel and no grit bin, but on the sides of the road are plenty of piles of road grit kicked up by lorries etc. I fill up the bag and head back to the car. We dust the road all around the wheels, start up the car and it gets a little grip and moves, but not enough. I need to be throwing grit in it's path as it's edges forward to get enough speed to move. How will I get back into the car? Sliding side doors! Leave one open and I can jump in! We edge forward as I am sprinkling ahead of the tyres and then we're off! I'm running down the road and jumping in the side of the car and bingo! We're out of our predicament. Quickly learning from our situation we make it to the tunnel and decide this may happen again and there might not be a tunnel, so restock the grit bag! Euphoric at our ability to tackle the situation. Thankful we don't have to be solemn and admit we're two British idiots trying to drive across extreme terrain to emergency rescue services. So the moral of the story? This situation brought alive to me the essence of innovation. The divergent thought, the prototyping, the analysing failure and improving, the convergent thought on the solution. It was a real life Marshmallow Challenge or Candle Problem. As we rolled off up the mountain further we discussed how we had approached this, how it related to those thoughts about being stuck on a mountain with work colleagues and the AQ angle. I realised how lucky I was to have been nurtured to do this from an early age because of that mantra and approach by my mum, for this I am eternally grateful. I think maybe some moments stuck on a mountain need to happen more often, because the freeze brought my brain alive again in ways that had been dulled slightly in the boxed office. Norwegian Road Trip from Jon Harman on Vimeo.